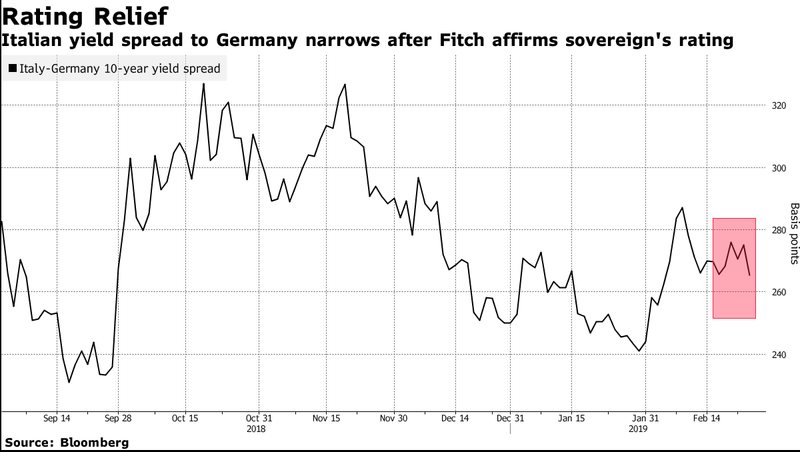 Italian bonds surged on Monday after Fitch Ratings decided to keep the country’s bond ratings unchanged, avoiding a potential downgrade to junk status. Italian bond yields reached a fresh low within the past week as Fitch Ratings decided to keep the current BBB rating intact. However, the ratings company didn’t shy away from affirming that significant risks are still present as Italy’s high debt levels remain and its fiscal standing remains tenuous. “Fitch’s affirmation of Italy on Friday evening should take the edge out of downgrade fears for the upcoming Moody’s and S&P reviews,” wrote Commerzbank strategists led by Michael Leister. In recent months, Italy and the EU haven’t been seeing eye to eye on the country’s proposed budgetary plans, causing the EU to reject the proposals due to its excessive spending, which has caught the ire of Italy’s leaders in the process. However, Italy’s deputy Prime Minister Matteo Salvini is showing signs that the country could succumb to increased pressure from the EU by lowering its deficit budget. Forthcoming ratings decisions are looming, which could pose additional risks to the country’s bonds. 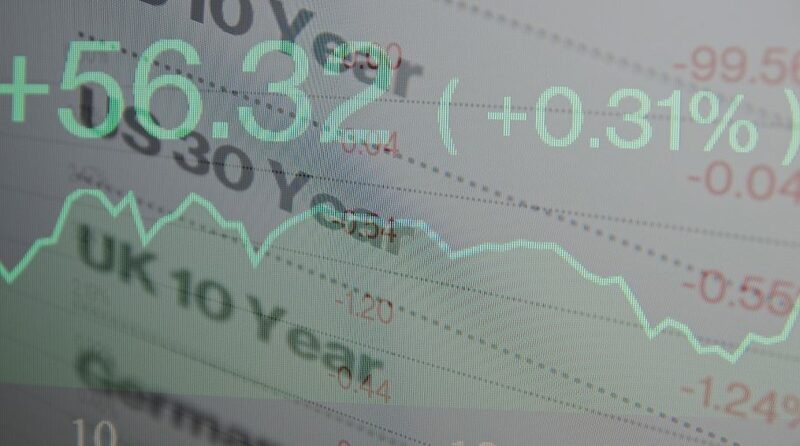 Moody’s Investors Service is scheduled to review the bonds on March 15 and S&P Global Ratings is slated for April 26. Leveraged Treasury bull ETFs like the Direxion Daily 7-10 Year Treasury Bull 3X ETF (NYSEArca: TYD) and Direxion Daily 20+ Year Treasury Bull 3X ETF (NYSEArca: TMF) fell on Monday as yields rose on optimism of a U.S.-China trade deal. TYD edged 0.67 percent lower while TMF declined 1.40 percent.